There are numerous Ufologists who claim that extraterrestrial beings have worked with our government for years. This theory, which has been seriously ridiculed by many, might actually be true since numerous scientists and governmental official have come forward suggesting that there is more to alien life on Earth than previously believed. Philip Schneider was a man who is believed to have come forward with highly classified information. He was a geologist and structural engineer of the Government of the United States and was involved in the construction of deep underground military bases in the United States with the Army Corps of Engineers.He was one of three people to survive the 1979 fire fight between the large Greys and US intelligence and military forces at Dulce underground base. At Dulce, Schneider maintained, “gray” humanoid extraterrestrials worked side by side with American technicians. In 1979, a misunderstanding arose. In the ensuing shootout, 66 Secret Service, FBI and Black Berets were killed along with an unspecified number of “grays”. Philip Schneider’s father, Oscar Schneider was a medical advisor to the US Navy. During the last two years of his life, Phil Schneider gave over 30 lectures to a variety of audiences around the world talking about highly classified information of the government involving alien technology, alien weapons, experiments and pacts between governments worldwide and aliens. Many people remained skeptical about what Schneider had brought forward and much of his life was seriously questioned by people worldwide. He was ridiculed by many, but there were many who believed that what Schneider was telling was the absolute truth, something that no one dared to talk about. Mysteriously in 1996, Schneider was found dead in his apartment. Authorities said it was a suicide, but many people believe that Schneider was killed because he had leaked extremely classified information to the public. 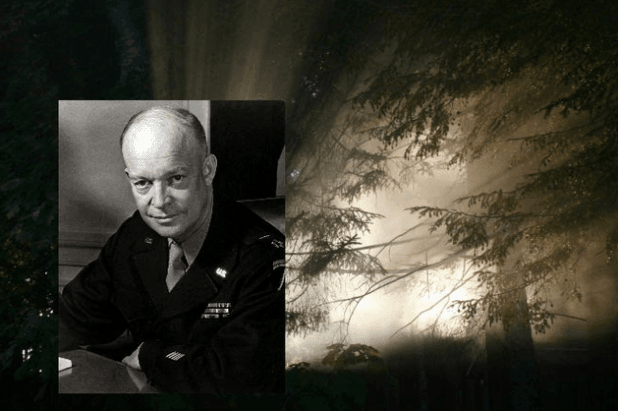 In 1954, former President Dwight Eisenhower, made a pact with three species of aliens, Schneider said at a conference in 1995. n exchange for alien technology, Eisenhower allegedly gave permission for the aliens to abduct a limited number human beings to perform numerous experiments on Earth and in space. According to Schneider, the technology that aliens gave us as part of this exchange includes a type of metal that is almost indestructible. Schneider showed the audience what he said was a piece of this metal.It is made of niobium, an element that we have in the periodic table, and Marinite, a strange element which is not found on Earth. But there were other technological utilities that aliens gave to humans thanks to the pacts. The government was able to develop a spy satellite with help of aliens that can detect a penny on the floor of your kitchen according to Schneider. This spy-satellite uses some sort of infrared technology with a resolution factor of 99.99961. But this pact was broken by the aliens since they have abducted way more aliens than agreed. According to Schneider, since the pact was broken there have been tensions among alien races and humans.